Did you know that some of our daily routines and habits threaten our eyes? If you want to keep your eyes healthy than avoid the following habits. Reading while in a bus\car etc. A long ride can be annoying, so we often reach for our books or newspapers to pass the time. However, reading while riding the bus or car actually hurts our eyes because they’re constantly moving and trying to regain focus. Our hands are wiggling when riding and the eyes tire almost twice as much compared to usual reading, which can lead to headache or blurred vision. We’ve all seen it and experienced it – lack of sleep causes swollen eyes and dark circles under them. This bad habit damages the eyes. During sleeping, the eyes are relaxed and they regenerate. Not enough sleep and the eyes are not resting as much as they should, which can cause dry eyes and cracking of the capillaries. It’s really practical to watch a movie on a laptop or tablet, but it damages the eyes. The screen is usually 30 cm. from the eyes and that bothers them. That’s why headaches in these situations are common. If you must watch something on a laptop or tablet, practice looking away from the screen for at least 5 minutes. 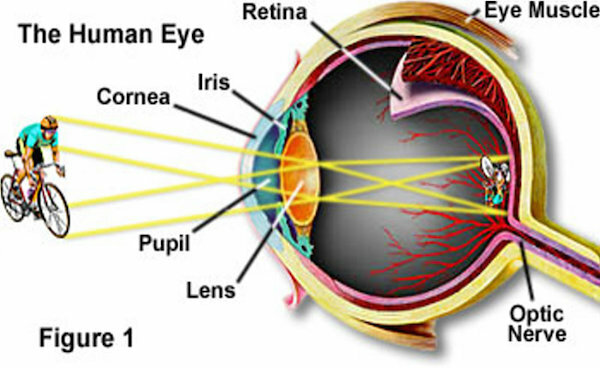 UV radiation is harmful to our skin and our eyes also. When the solar radiation is strong (late spring and summer months), do not leave your house without sunglasses. Even if it’s a cloudy summer day. You probably forgot to blink for a period while playing a game or reading this article on a PC. This kind of behavior leads to dry eyes and causes irritation. If you have these symptoms after using the PC, buy artificial eye drops that protect and hydrate the eyes.